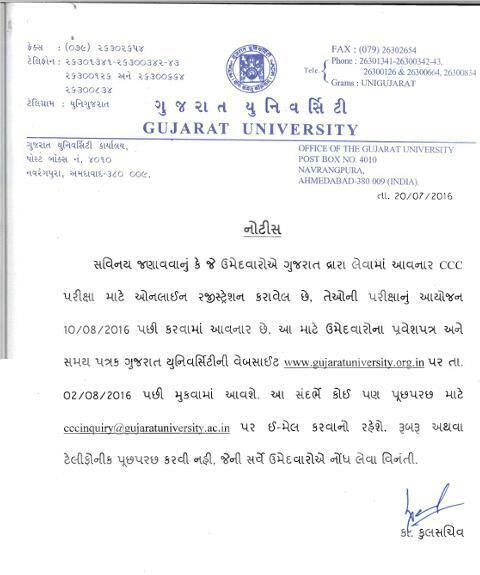 Gujarat University has published Important Notification regarding CCC Exam. As per notification it is inform to govt. employees. who had applied Gujarat university for CCC Exam, The exam will be conduct after 10-08-2016, and its notification will be published after 02-08-2016. Check below for more details.